The legendary US highway Route 66, the “Main Street of America,” starts in downtown Chicago and extends all the way to Santa Monica, California, at the Pacific Ocean. Because most Loop traffic is one-way, #Route66 starts and ends in Chicago, but on different streets. US Route 66 begins by heading west on Adams Street (right in front of the Art Institute of Chicago), extends 2,448 miles to California and comes right back to Chicago, but ends by heading east on Jackson Boulevard — right smack in front of our newest location at Michigan & Jackson. 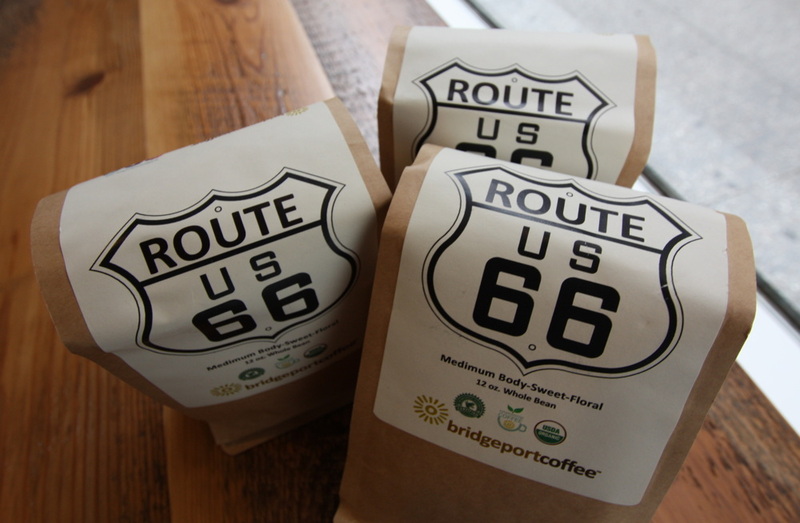 That’s why we felt we needed to honor the nation’s greatest highway with a very special roast: our newest Bridgeport Coffee blend, Route 66. Bridgeport Coffee is your very last call for coffee on the Main Street of America. Stop in any of our four locations and pick up a bag for yourself, or for a Route 66 fan you know!